The Sri Lanka Army Friday afternoon around 2 p.m. re-opened the Vavuniya Omanthai check point enabling stranded civilians in Vavuniya town to travel to their areas in the LTTE held Wanni region. 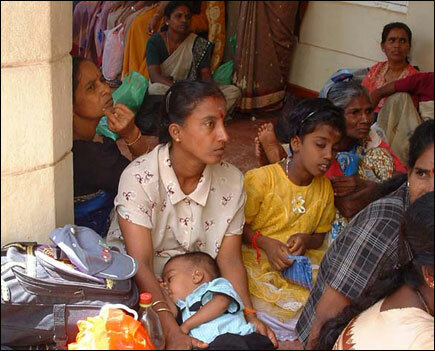 About eight hundred Tamil civilians including around 260 public servants had been stranded in Vavuniya since the closure of Vavuniya-Omanthai check point, sources said. Stranded civilians continued their protest second Friday morning in front of the office of the Vavuniya district secretariat demanding that they should be sent to their villages in LTTE held Wanni region. Protestors prevented officials of the Vavuniya DS office coming out. 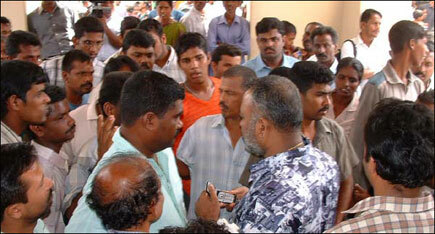 Vavuniya District Head of the Sri Lanka Monitoring Mission (SLMM) visited the scene and held inquiry. Mr.Kishore Sivanathan, Wanni district parliamentarian rushed to the site and told the protestors that he had take necessary steps for them to travel to LTTE held areas through Omanthai checkpoint. Thereafter protestors allowed government officials to come out of DS office. SLA and police officials also arrived at the scene, sources said. Thereafter the Government Agent made arrangements to transport the stranded people to Omanthai check point. Several buses transporting these people were stopped at Thandikulam by SLA soldiers. SLA authorities there said that they were unable to allow them to proceed as officials of the International Committee of Red Cross (ICRC) had not yet gone to the Omanthai checkpoint. However the SLA officers at Thandikulam said they have received orders from their superiors to allow them travel to Wanni area. 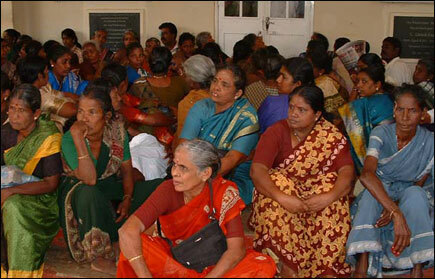 These stranded persons waited for about two hours at Thandikulam as ICRC officials did not go to Omanthai check point. ICRC said it had not received any formal response from LTTE regarding this issue. 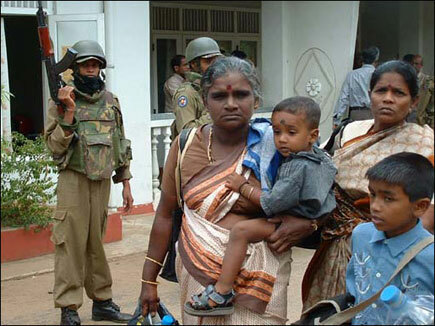 However on receipt of formal response from the LTTE, ICRC officials went to the check point to facilitate the travelling of stranded civilians. They were allowed to travel to their areas in LTTE held Wanni region from 2 p.m. Friday, sources said.